We’re into the last few weeks of 2017, but if you were thinking the Guadalajara International Book Fair, which finished on December 3rd, meant game over and we could all relax until the new year, think again. Numbers aren’t in for the Guadalajara event yet, but it was expected 800,000 visitors would pass through its doors. Yeah, it’s funny how a country like Mexico, that is supposedly a reader-free zone and a publishing dead-end, can draw not just thousands but hundreds of thousands to a book event. The same story with Argentina. Buenos Aries has more book stores per capita than any other country. The Buenos Aries International Book Fair regularly gets 1.2 million visitors. But still we’re told Latinos don’t read. And it’s the same in Asia. Take Pakistan for example. 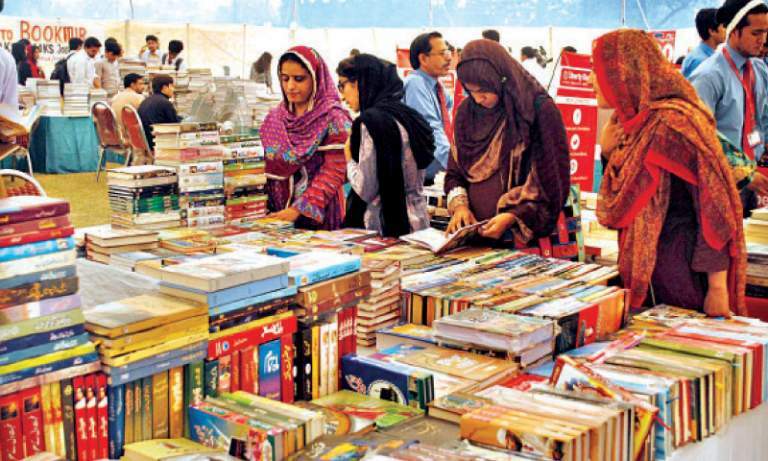 Tomorrow the five-day Karachi International Book Fair kicks off in Pakistan. Pakistan is an incredibly exciting market, and one I will return to time and again here at The New Publishing Standard. Since when I’ve done my bit, with coverage this week of the Austenistan anthology put together by Laaleen Sukhera and the Jane Austen Society of Pakistan. In November I previewed the Karachi International Book Fair as Pakistan officially announced it had 46 million 3G/4G internet users and over 140 million mobile phone subscribers. As I asked in the TNPS post, why, in the third-largest English-speaking country in the world, are there no ebook stores? It’s not as if Pakistanis don’t read. This year the Karachi Fair is expect to see a half million people pass through its door. Last year 200,000 books were sold in the first four days of the five day event. And the Karachi International Book Fair is by no means the only book event in Pakistan. Only two weeks ago a month-long nation-wide book fair ended, courtesy of the Pakistan arm of the Oxford University Press. The Lahore Book Fair was in February. Two months later, in April, it was the turn of the Islamabad Book Fair, regarded as the largest book fair in the country. As for Karachi… Not content with the Karachi Book Fair in December Karachi also squeezes in the Karachi Literature Festival. This year it was, exceptionally, held in London, to celebrate Pakistan’s 70th anniversary, but in 2016 the February Karachi event drew 175,000 visitors. Then there’s the Children’s Literature Festival. Next event just weeks away, in January 2018 – still time to book a flight to Lahore! Pakistanis don’t read? Well, they certainly don’t read many ebooks. The Big 5 western retailers don’t want to know. But as the book fair and literary festival numbers show, given the chance Pakistanis love to read.